I'm so excited to share a super fun giveaway from the lovely Virginia of Gingercake today! 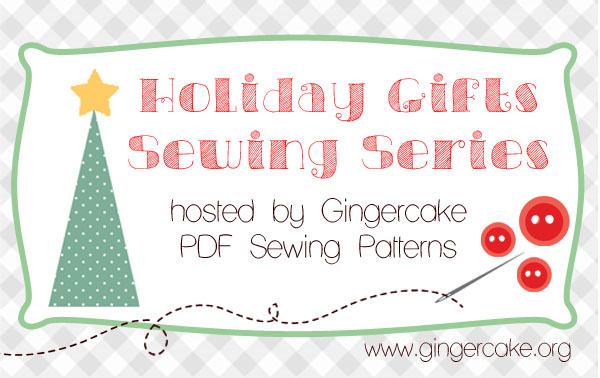 She emailed me a while back asking if I would be interested in sewing one of her cute PDF sewing patterns as part of a holiday gift sew-a-long. After a browse around the Gingercake shop, I knew I had to make the Modern Folksy Bunny! My dear friend has just had her first baby, so I knew immediately this would be the perfect gift for the new mum. My first bunny was the yellow one, I loved making it so much I whipped up the blue and red one straight after! Normally once I finish a project I'm straight onto the next, so it's quite unusual I would make the same thing again. But really, this sweet little bunny was a pleasure to stitch. I also had to use both of my Aunt Grace bunny fabrics from Sew and Quilt, they are the perfect match :) You can make him in just a few hours, so it's a fun little evening project. Each measures 11" tall, plus ears! So they are fat quarter friendly, you can fit the body and outside ears in a single fat quarter. 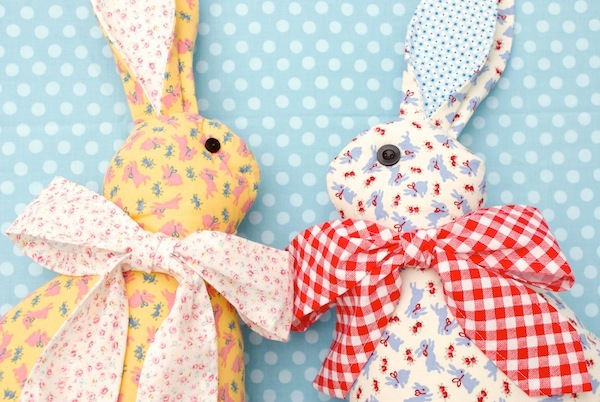 So, in the spirit of gift giving; not only is Gingercake is offering one lucky reader a Folksy Bunny PDF sewing pattern, I will be offering everyone 20% discount on the delightful Aunt Grace bunny fabrics used to make the soft toy! There's no excuse to not get making! The Art Caddy Tote looks so useful, definitely need at least one of those!! My favorite is the bunny pattern--I have a new baby girl and I can't wait to make toys for her! These are adorable. Your friend will love this bunny for sure, it's so adorable! The fabrics you picked up are just perfect for it! My favourite pattern from the Gingercake shop is the "Love your Lunch Bag" pdf as I need a new Lunch Bag. The Penguin is also very sweet and I would love to make one of those! Thanks for the giveaway! I love the bunny...but the penguin is SO cute, too! Thanks for the chance to win this wonderful pattern. Your bunnies are adorable! I can't go past that crazy cute penguin pillow! It's got to be the Kate Bird pillow! The Elephant I think, but they are all great. I can't decide between Lola, Lucky, or the Getaway Duffle bag. There really is a fabulous choice. The bunnies are super cute, thanks for a fun giveaway. I love your bunnies and the fabric you used, just adorable. It's hard to pick a favourite Gingercake pattern as they're all lovely but I'm a bag lady so I'd choose the Getawat Duffle. The bunnies! Next, the waste free lunch bag. Wonderful patterns! These are adorable! I like the bunny and the annie's penguin is very cute too! What a fabulous fresh looking page, love the materials, totally inspiring. What shall I make next? Hhhmmm? I love the bunny and the penquin! I love the bunny pattern. It would be great to make for the little ones. I love owls, so Max the Owl or The Lola Owl. They are both lovely. I love the bunny. It reminds me of one my mother made me over 50 years ago. The bunny is so cute!! Love all the stuffed animals, but I think the 3 layered clutch would be really useful. - Might be able to make a purse the OHs mum would use! So many great patterns- Max the owl or Lucky the elephant would be my favourites! Thanks for the giveaway Jess! Your bunnies are very cute! I love the Waste Free Lunch Bag of Gingercakes! 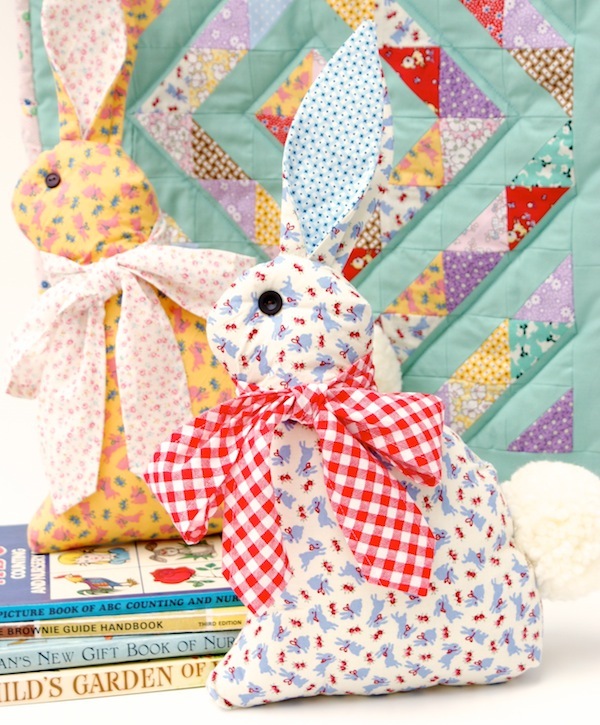 This bunny is very sweet and even sweeter in your fabric! thank you! I would love to make that cute bunny! I've also had my eye on her penguin pattern, as well as that adorably perfect duffel. Thanks for hosting the giveaway! I have the penguin pattern but haven't made it yet --- I've made half a dozen Max the Owls - they make a great gift! Your bunnies are adorable --- was the tail easy to make? I've never done pompoms before - I wondered if my bunny would end up with a mutant tail, lol. The bunny is so adorable, although I'm quite partial to an owl cushion. I have bookmarked so many owl patterns on Pinterest, lol! Love the bunny! But my favorite is the owl pillow-----my daughter is all about the owls! The Love your Lunchbox. Perfect size for Miss 7 and Miss 5, given as birthday gifts. Miss 7 even helped make one for her teacher! My favorite would be Katie Bird Pillow! Lucky the Elephant is my favorite, in honor of my daughter who loves elephants. The lunch box patterns are my favorite so far. I haven't tried the bunny yet, but would love to. My favourite is the bunny because my granddaughter loves bunnies. Thank you for the chance. Your bunnies are adorable! I have the Lola the owl pattern and have made a couple of Lola bags. So easy and cute! I already have the Gingercake Art Caddy pattern, and from there I am absolutely torn between the penguin, the elephant, and the bunny. I love all three of them!! So hard to choose which one ... hmmm ... maybe the crayon wallet! I have used a few of Virginia's patterns and love them! The instructions are very clear with lots of illustrations ... you can't go wrong! My favourite is the bunny pattern- it is so cute! I really love this so much. This idea is perfect for gift giving this holiday season. I'm eager to try this design and I would absolutely try making other designs, too. 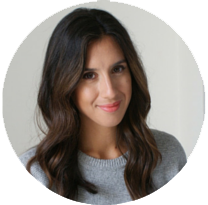 This post inspires me to do more sewing crafts for the holiday season. Thanks for sharing all these brilliant ideas.